Container cargo ship in the export and import business and logistics international goods in urban city. 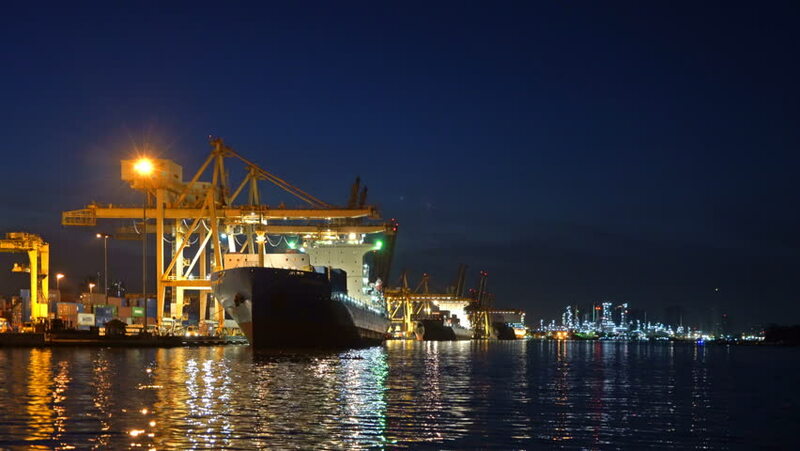 Shipping cargo to the harbor by crane at night. hd00:10Bangkok-Thailand June 3 2016: Klong Toey Port In charge of the Port Authority of Thailand. Cargo ships to harbor cranes loading containers from the vessel and sent to a trailer. hd00:11Bangkok,Thailand -December 8,2016 : Bangkok Port Authority of Thailand ,The port in Bangkok with loaded freight ship and cargo handling equipment on the side of Chao Phraya river in Bangkok,Thailand. sd00:20PUERTO RICO - APRIL 16, 1999: The Sea Land Crusader, loaded with cargo, in harbor with tugboat. sd00:14PORT ELIZABETH, NEW JERSEY - APRIL 16, 1999: Cargo ship Sealand Crusader loaded with shipping containers.